One of my favorite things about being on Disney property are all the signs - and the cast members who say "welcome home!" as you arrive - and as you come and go during your stay. Most every resort we have stayed at as been our "castle" away from home (and yes, there is one that I would not stay at again - we'll talk about that one some other day!). 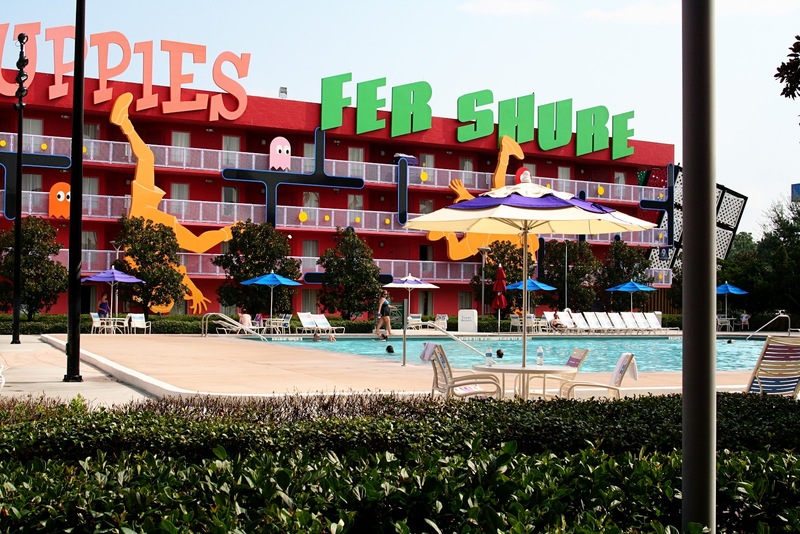 Today, let's talk about a value resort - Pop Century. I stayed here last August as part of my mom's only trip (and if you haven't done an adults only trip - make plans to do it - someday, somehow - it's so worth it!). We had a standard room (vs a preferred room which is close to the main pool, food court and bus stop) in the 80's section. Pop Century's theme is the larger than life icons and sayings of pop culture in the 50s, 60s, 70s, 80s and 90s. The preferred sections are in the 60s and are centered around the Hippie Dippy pool (which you can't quite tell from my photo is in the shape of a large flower). 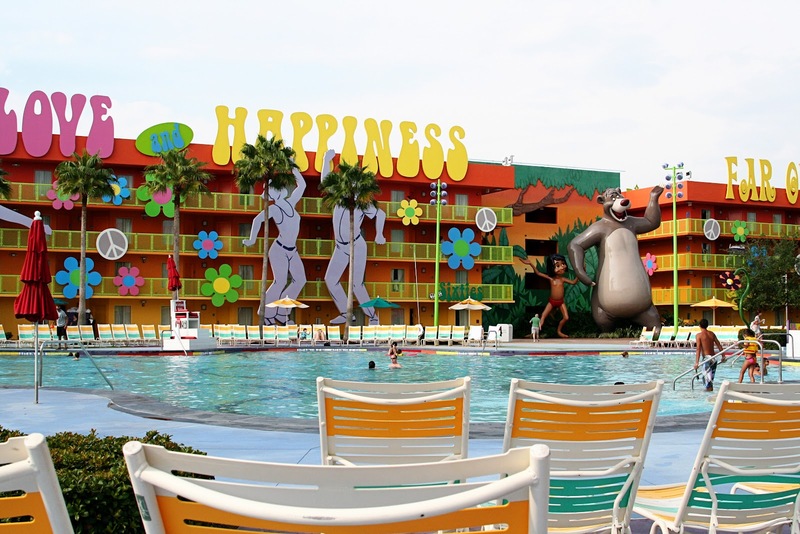 There is also a pool in the 50s section that is shaped like a bowling pin. And the pool right outside our resort room door was the 80s computer pool. 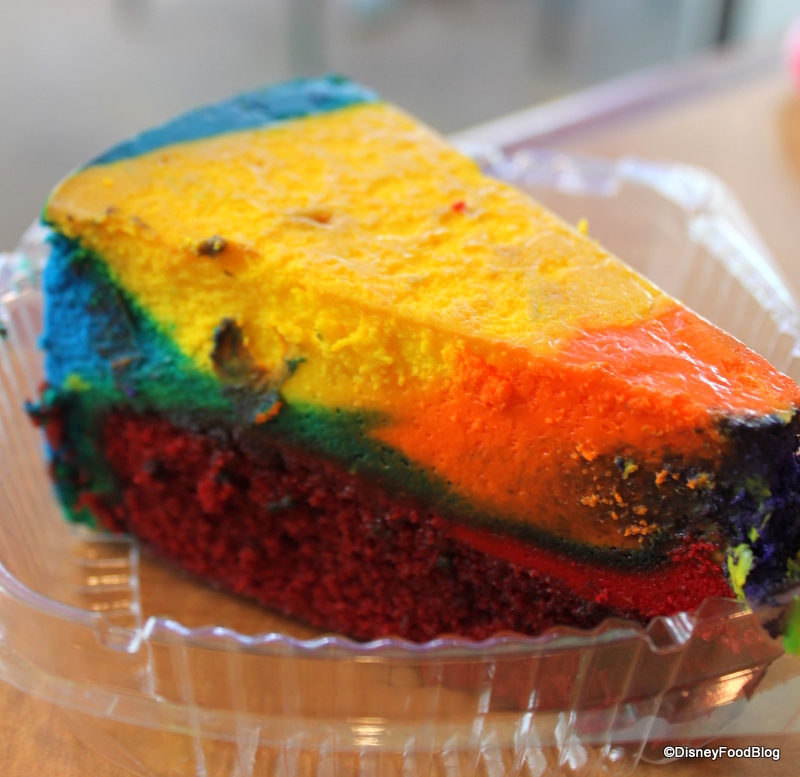 The food court at POP was fabulous - and they even have their own signature item - the tie-dyed cheesecake. Bus service from the resort was always prompt. The resort does not share buses - and there is just one main bus stop location. 1. The values tend to be more about themeing - are much more "jaw-dropping" - and very much larger than life. 4. The bus stop does not have roof - so you are exposed to the rain or the sun. 5. Speaking of buses - when you leave the parks to return to your resort, the value bus stops tend to be the farthest away. 6. I think that the values have much better food courts than other resorts. 7. Values cost a lot less money! 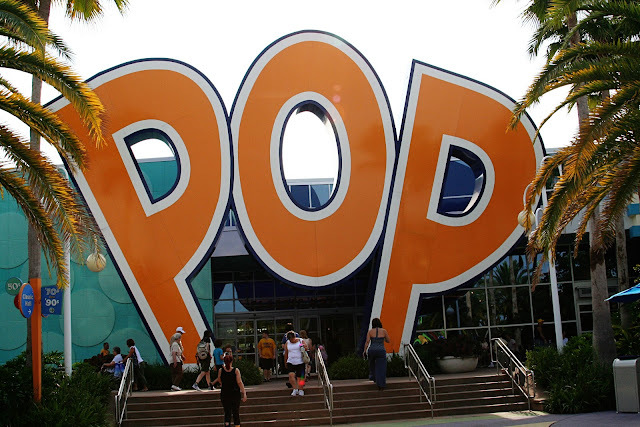 Overall, I enjoyed my stay at the Pop Century - and would absolutely recommend it to my clients - and would stay there again. If you want to see other pictures of Disney castles, be sure to check out Focused on the Magic! Did you enter my giveaway last week? Be sure to check and see if it was you - the winner has not yet come forward! So...what about you. 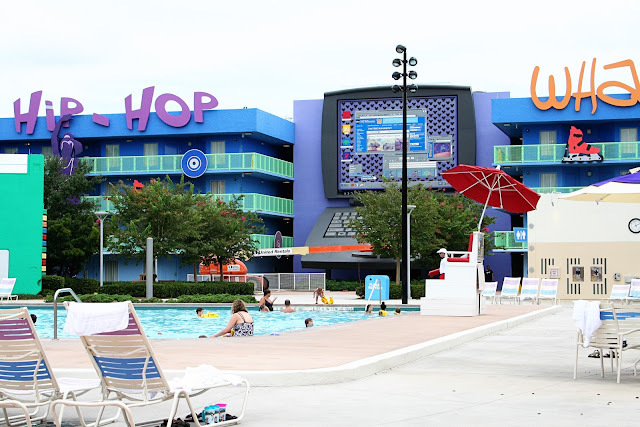 Have you stayed at Pop Century? 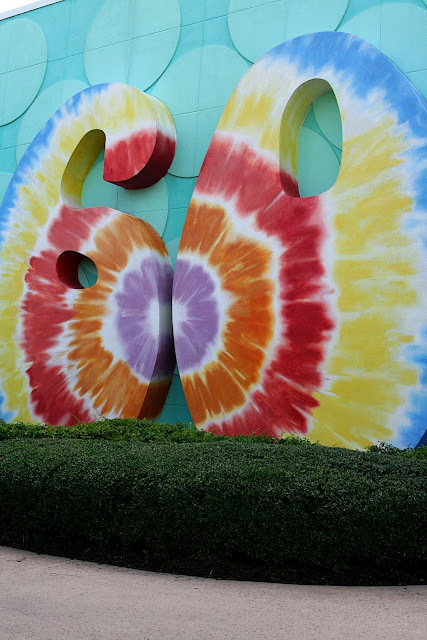 Which decade would you most like to stay in? What a great review! 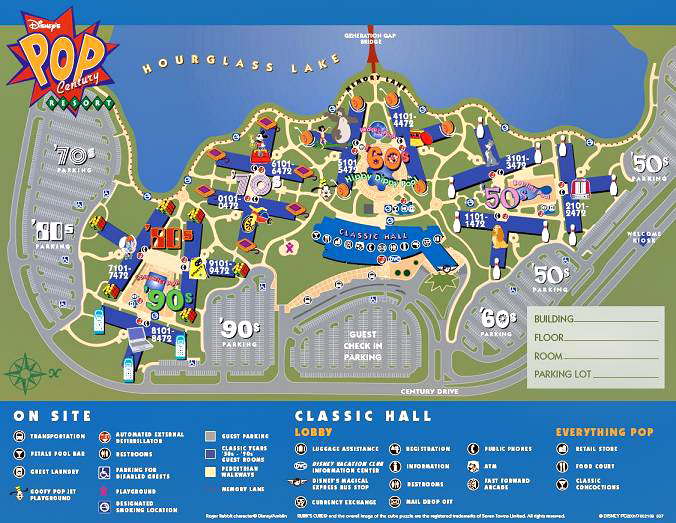 I have yet to stay at a value resort so this really gave me a better idea of what it looks like and it's features. Very interesting. So excited, I am your lucky winner! WooHoo!!! I emailed my info to you. What a fabulous giveaway! Thank You! Great shots, and look at that cheesecake!! Thanks for sharing and great review, as we have not yet stayed here. Great review - it looks like a really fun resort! My teenage daughter spent last weekend tie-dyeing with her friends - they would love that cheesecake!! Your pictures make me want to stay there! My boys would love the HUGE Mr. and Mrs. Potato Head. 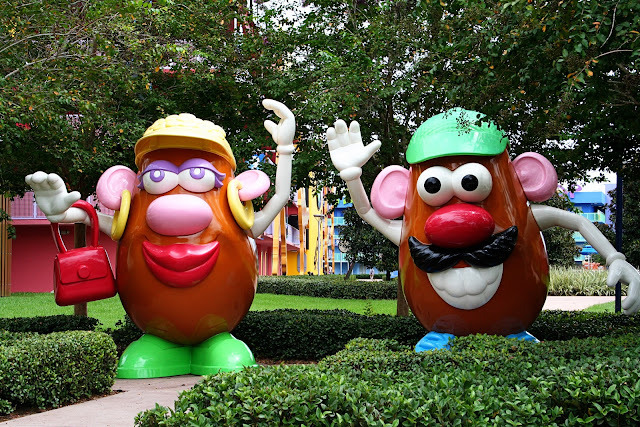 We are staying at Art of Animation in October which is a short walk from PC. I'm hoping to get some pics then. You got some really great shots! I always enjoy your reviews. 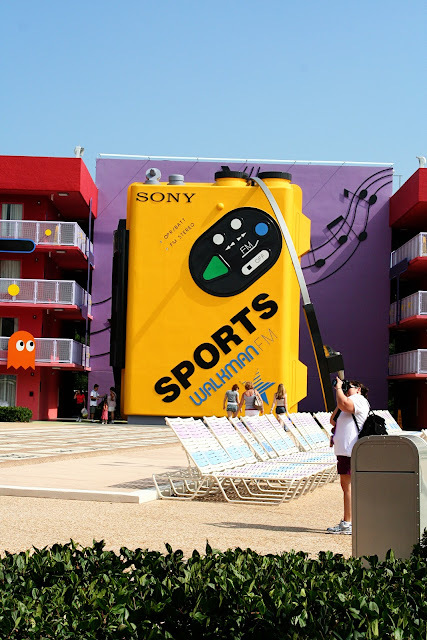 This was our least favorite of the Value Resorts ... I think simply because the themeing felt less Disney than the others. Great pictures! I've stayed here twice before -- and I'll be there a week from tomorrow! I don't have much to compare it to, but I really enjoy Pop. Unlike the other Values, you don't share a bus with any other resort, so that's a big plus. And they have a huge gift shop! Great shots! This has got to be my favorite value resort! We normally stay here and love it! 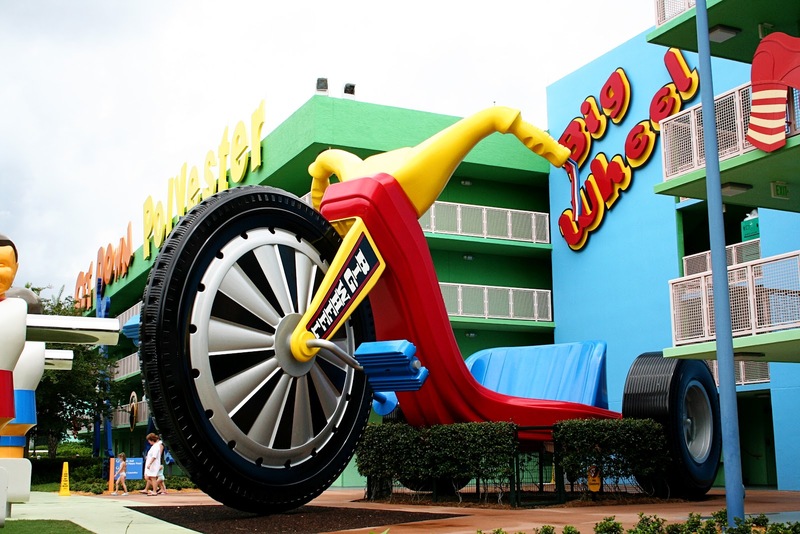 I LOVE Pop Century. We have stayed there three times and really enjoyed each stay. Great review! your pictures are great!! and so is your review..thanks!! value is always the way to go.